I saw Google’s git-appraise on Proggit yesterday. Hackernews had more comments for the same. remote: Counting objects: 543, done. Receiving objects: 100% (543/543), 169.78 KiB | 0 bytes/s, done. Resolving deltas: 100% (265/265), done. Receiving objects: 100% (833/833), 117.92 KiB | 0 bytes/s, done. Improve the error messages returned when a git command fails. stderr, and use it to construct a new error to return. 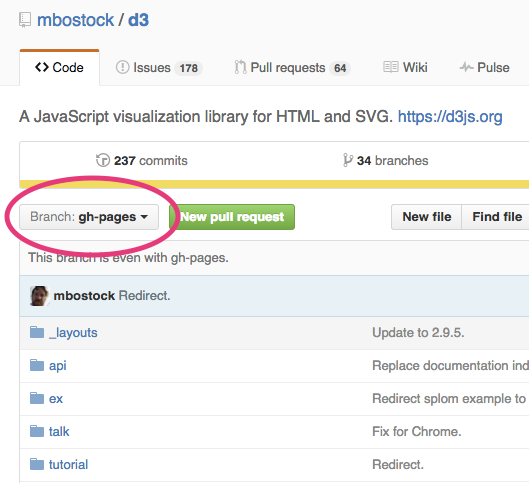 Indeed, the Github interface should allow you to navigate those text resources in the branch. I’ve written about this before. Ideally I would also be able to mount a third-party plugin to Github’s web UI and have a meaningful navigation of the review(s). Broadly speaking, branches should always be mergeable between each other, with the policy being the guide as to whether you should/shouldn’t (can/can’t if your SCM has permissions to some degree). 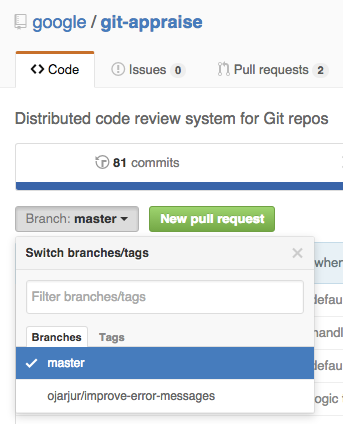 The suggestion for Github Pages use, is to have it on a gh-pages branch, adjacent to your master branch (that contains your code). Sure, for a pure blog or site you might only have the Github Pages content and no programming source at all. Indeed, in that configuration you don’t need the gh-pages branch at all. I find the gh-pages branch a little bit odd really, however wonderful the technologies are. Merging between the gh-paged branch and the master being illogical is my persistent thought. As the title says, branches should be for change of policy on the same source. Github implemented Wiki differently: as a first class repo, that follows a naming convention association with the repo it is associated with. D3’s repo can be cloned from git@github.com:mbostock/d3.git and its wiki from https://github.com/mbostock/d3.wiki.git. This is great. Less than great is the the fact that the Github web interface doesn’t allow you to navigate the revisions of pages, or see diffs etc. That would be so easy for them to implement. This is how Github Pages should have been implemented, in my opinion. In summary, the wiki implementation is done right, given it is not a branch.